Non-geographic service numbers: what will Ofcom’s changes involve? Important changes to calls to non-geographic service numbers are set to come into force next month in a bid to make the cost of calling businesses and services clearer. 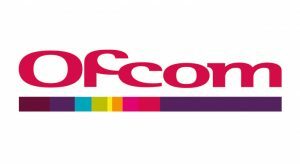 Enforced by communications regulator Ofcom, the changes are set to kick in from July 1 and will affect numbers starting with 084, 087, 09 and 118. Read on for details of what the changes involve, why they’re being made and how you can find out more about the impact they’ll have. What are non-geographic service numbers? They’re numbers that aren’t linked to a specific location. They tend to be widely used by businesses, charities and statutory bodies. For example, many information lines or helplines are non-geographic service numbers. After researching the use of non-geographic service numbers, Ofcom found many people weren’t sure about what they can be used for and how much they cost to call. The confusion, particularly relating to the cost, is partly due to the fact phone companies set their own prices. Information relating to costs can also be confusing for consumers to understand. This means it can be difficult for businesses to let people know how much they’ll be charged for when contacting them. Ofcom has therefore decided to unveil a new ‘unbundled tariff’ structure, to make it easier for consumers to understand how much they’re paying for calls and exactly where the money’s going. 1. Access – this is the amount being charged by telephone providers in pence, per minute. The provider will be responsible for these charges and informing businesses of the amount they’re charging. Telephone bills should clearly state this charge and new customers should be made aware of it when signing their contract. 2. Service – this relates to the remainder of the cost and any revenue going to the organisation that’s being called, as well as the business (or terminating call provider) providing the number. Consumers currently have to pay for calls from mobiles to many 0800 freephone numbers. However, from July 1, all calls to freephone numbers, from landlines and mobiles, will be free as part of Ofcom’s forthcoming changes. Almost every customer and company in the UK uses these service numbers in some way. For more information or advice on how you can prepare your business for the forthcoming changes, call us on 0800 9 77 88 99 or reach us through our contact us page.